Australian advanced composites manufacturer Quickstep Holdings’ first-half results for 2017-18 have shown an increase from the year prior as production for the F-35 Joint Strike Fighter (JSF) Program increased by 53 per cent. 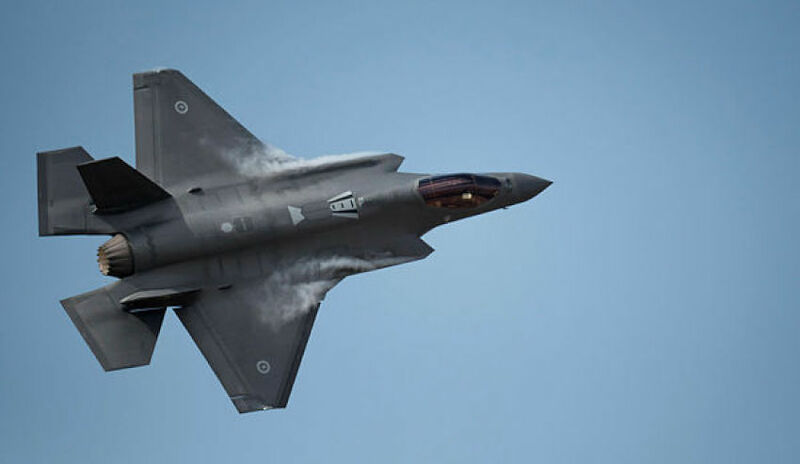 The company, one of Australia's largest contributors to the global JSF program, announced total revenue for H1 FY18 of $27.9 million, up 13 per cent from $24.6 million in the prior corresponding period (PCP). The 53 per cent production increase on the JSF program from the PCP saw the manufacture of more doors, panels and fuselage parts for Northrop Grumman, as well as vertical tail components for BAE Systems and Marand. Chief executive and managing director of Quickstep Mark Burgess said infrastructure at its Bankstown facilities is now in place to support future JSF work. "Revenue growth was in line with expectations and, following completion of the $10 million capital expenditure program at Bankstown in FY17, we have the infrastructure in place to support future JSF production levels. JSF revenue will continue to increase in the second half of FY18. As JSF production increases in volume over the next two financial years it will drive significant productivity benefits," Burgess said. The company is expecting further opportunities to arise from the new contracts it signed in H1 FY18 with Boeing Defence to manufacture F-15 and F-18 aircraft components. "These niche contracts provide a pathway to Boeing supplier accreditation, opening future business opportunities across the Boeing Company. Boeing is the world’s largest aerospace company and leading manufacturer of commercial jetliners, defence, space and security systems, and service provider of aftermarket support," Quickstep said. During the half year, Quickstep established a business development team to "accelerate Quickstep’s three-tiered approach to growth". The first tier looks at delivery of all existing contract growth and new defence and aerospace business at Bankstown. The second tier is new business opportunities in aerospace, automotive and other advanced industries utilising Qure and QPS. The third tier is securing a large program or inorganic growth opportunities in defence, commercial aerospace and automotive. The company's half-year results also said manufacturing continued on production of parts for Micro-X’s portable, ultra-lightweight x-ray device using Qure. Quickstep also completed a successful trial of its automotive front fender project with a European original equipment manufacturer. Quickstep is currently in the "advanced stages" of seeking a partner in Europe to extend its aerospace and defence and automotive sales and marketing capability.